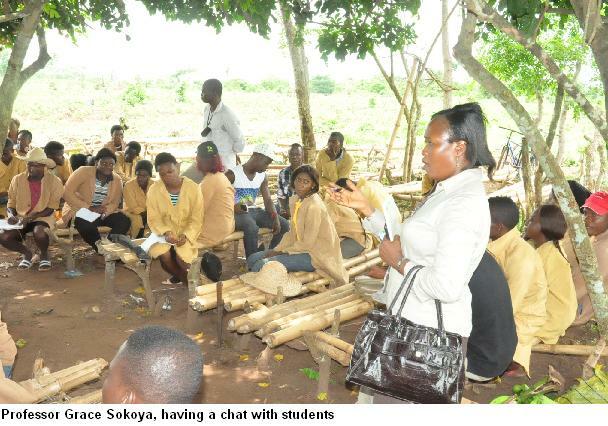 In fulfilling the mandate of the Student Industrial Work Experience Scheme (SIWES), the SIWES Directorate of the University recently embarked on a 2-day familiarization tour of the University’s Community-Based Farm Scheme (COBFAS) locations, to sensitize students on the Farm Practical Year (FPY) programme. Speaking with FUNAAB Bulletin, the Director of SIWES, Professor Grace Sokoya, said the visit was in line wi SIWES’ mandate “to co-ordinate the acquisition of Relevant Production Skills (RPSs) of students and their Industrial Training, in order to bridge the gap between theoretical knowledge acquired in the classroom and actual practice in the industrial world”. She stated that her Directorate was the link between National Universities Commission (NUC), the Industrial Training Fund (ITF) and the various industries and organisations where FUNAAB students would acquire the relevant skills and experiences. She added that the visit also enabled the students in the various COBFAS locations to know what was required of them as far as SIWES was concerned and that the training programme would equip the students with the relevant field training experience that will make them familiar with the job after graduation. Meanwhile, students at the locations expressed joy at the visit and thanked the University Management for exposing them to field work in agricultural practice. On the team were: Dr. Idowu Osinuga, representing COLNAS Board; Dr. Martha Bemji, representing COLANIM Board; and Dr. Segun Odeyemi, representing COLPLANT Board, among others. 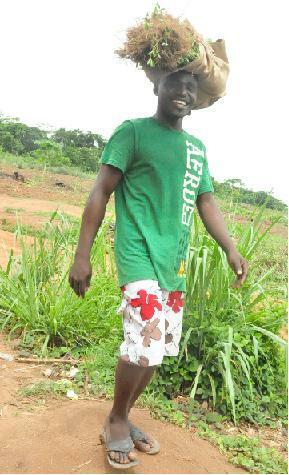 FUNAAB currently has four COBFAS locations spread accross the geo-political zones in Ogun State. They are Isaga-Orile, Odogbolu, Ode-Lemo and Iwoye-Ketu. In fulfilling the mandate of the Student Industrial Work Experience Scheme (SIWES), the SIWES Directorate of the University recently embarked on a 2-day familiarization tour of the University’s Community-Based Farm Scheme (COBFAS) locations, to sensitize students on the Farm Practical Year (FPY) programme. FUNAAB currently has four COBFAS locations spread accross the geo-political zones in Ogun State. They are Isaga-Orile, Odogbolu, Ode-Lemo and Iwoye-Ketu.